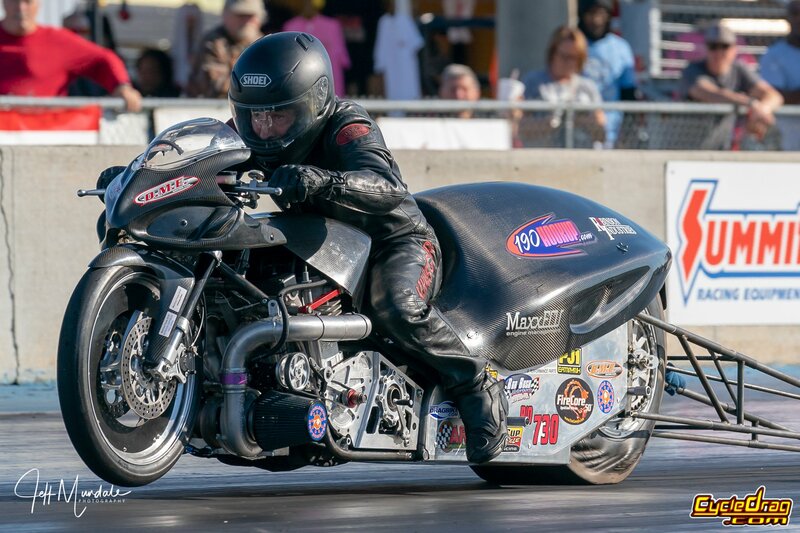 After a season of controversy following the inclusion of turbo-charged dragbikes into the PDRA’s Pro Extreme Motorcycle class, the category will return to nitrous only in 2019. PDRA President Bob Harris says the change is due to popular demand. Harris says the PDRA issued a survey to every racer who participated in the class over the past three seasons. The feedback was nearly unanimous with the overwhelming majority of nitrous racers voting the turbos out. Some threatened to not run the class if both combinations were allowed. Harris said it may not be the end of turbo motorcycles in the PDRA, as he hopes to include them in a separate class if racer interest and sponsor money becomes available. However nothing is officially scheduled for next season. Another change due to popular demand is eliminating two races for the class, Galot and Dragway 42, to make a more economical six-race championship series. The change will allow racers to also follow the Man Cup series. “We didn’t want the conflict,” Harris said. With another full-championship payout in PXM, Harris hopes 2019 will see much higher bike counts. Wagner admittedly used the bike to force changes, backing up his argument that the turbos make much more power and have an advantage. Wagner’s team is now more focused on running the first turbo five-second pass after Schweigert’s record-setting 6.19 at the Man Cup Finals. Williford Racing’s Ehren Litten takes the hardest hit, having built his bike with the sole purpose of running PDRA PXM. Litten won one PDRA event in 2018. Harris says having to restrict the turbos to maintain parity is not a viable option.